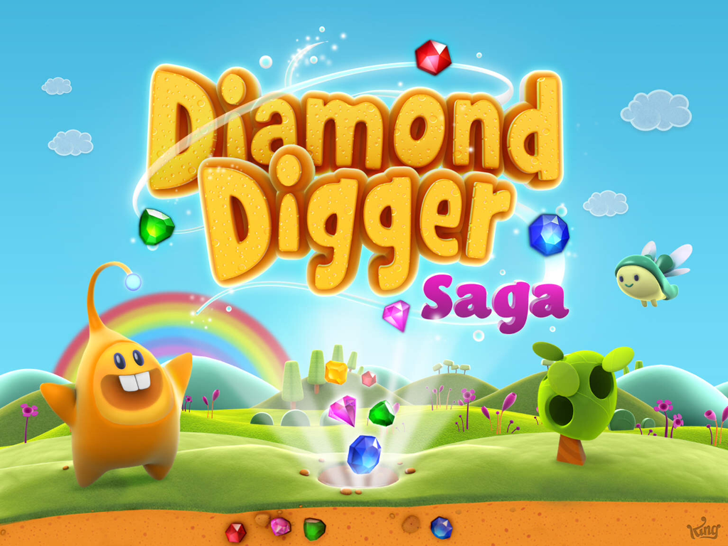 The team at King.com Limited, well known for their addictive app Candy Crush Saga has released yet another popular elimination puzzle app titled: Diamond Digger Saga! You'll join Diggy on his quest to find hidden treasures as you progress through the lands of Turquoise Meringue and more! The treasure map will guide you on your journey through many unique levels. 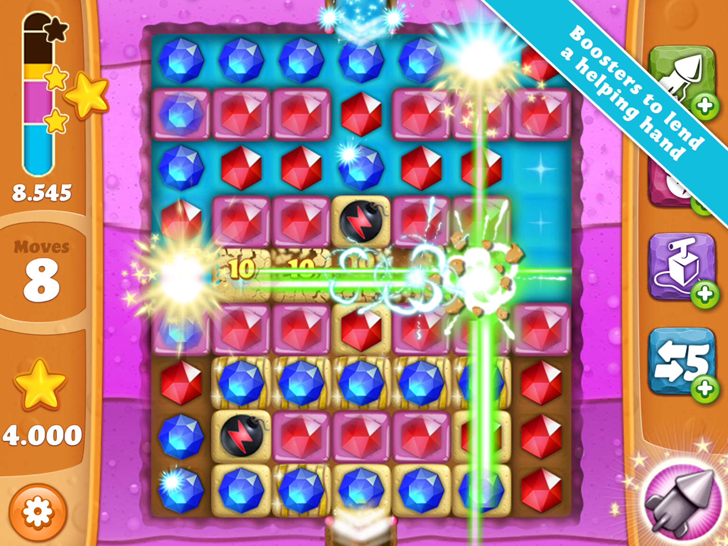 The gameplay is simple, match 3 or more same colored jewels to clear them. Boosters and specials will help you complete levels even faster! 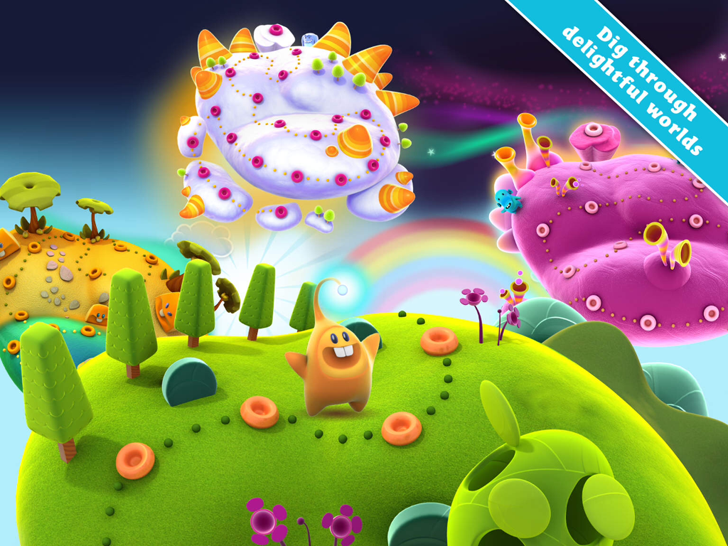 If you're addicted to apps like this, you're going to enjoy it, give it a go!